We’d never been to South Lakes Zoo on our many travels to the Lake District and as we knew we were going to Barrow-In-Furness we needed to do something cheery before heading there. Only a few miles from Ulverston we hopped on the A590 and turned off at Dalton-In-Furness. We managed to miss the sign to the Zoo, however a U turn later we got there. Parking at South Lakes Zoo is straightforward as it doesn’t have the acres of parking like Chester Zoo has. As it was a weekday we parked close to the entrance. There was a lone attendant manning the box office as it wasn’t busy and the entrance fee was £13.50 per adult. Walking into the zoo the place seemed really quiet and we wondered whether there would be anyone there. Thankfully when we got to the main part with the gift shop, toilets and the refreshment area, things were somewhat busier. We decided to visit the small animals first and we went through double gates and we had the shock of our lives. South Lakes Zoo is no ordinary zoo. We’d been to zoos all over the world and never did we find one where the animals roamed with the visitors. There were at 8 types of lemurs. The golden brown ones were curled up in balls snuggled next to each other. The belted ruffled lemurs were trying to find some peace and quiet from the ring-tailed lemurs who ruled the roost here. 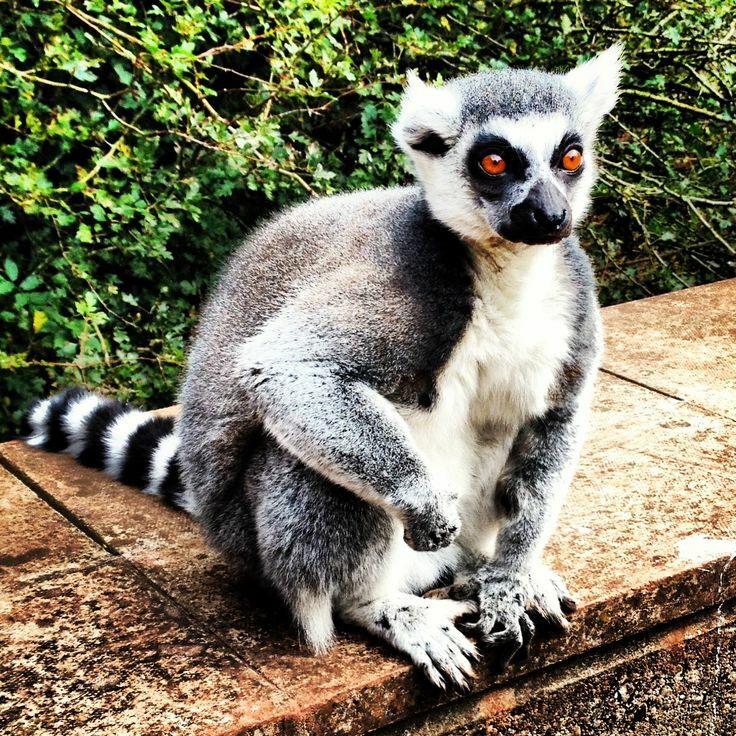 The ring-tailed lemurs are just fabulous. You are not meant to pet them or feed them, but it doesn’t stop them from mugging you for food. We heard the screams of teenage girls as the lemurs were touching them up. In the Alpaca section the ring-tailed lemurs were chasing birds out of the pen. However the alpacas, who are seriously cute, were looking rather stressed and dishevelled from the lemurs’ antics. I did notice the wallabies were keeping their distance from the lemurs, as without a doubt to the rest of the animal kingdom the ring-tailed lemurs could be irritating, hyperactive, pains in the rear. Then again to humans they are cheeky, friendly little souls who can melt your heart. What was lovely about the lemurs was how they interacted with each other. They are very social animals and I love how they literally piled up on top of each other to sleep. The young baby lemurs hung onto their mothers back whilst they roamed the area. As we left the area and went to the gift shop we saw 3 young ring-tailed lemurs had broken out of the main section and were balanced on the handrail to the shop. Clearly they were up to some mischief. Suddenly the ringleader darted into the gift shop and then we heard the shop assistant let out an almighty yell of “OUT!” She came out of the shop brandishing a pump action water pistol and evicted the ringleader who was trying to break into the store room. Then she shot at the young lemurs which were stood less than a metre away from where I was standing. I have to credit the shop assistant for having an outstanding aim as she didn’t hit me once. I’m sure when she went for the job the job description didn’t include the line “must have an excellent aim with water pistol to scare off shoplifting lemurs”. I did begin to wonder if the lemurs had broken out of here. They were agile and frisky little things that could slip out of here without people noticing. After a quick search on Twitter, sure enough there had been a breakout a few months earlier when a couple of them were spotted on the nearby dual carriageway. Apparently the zoo had to close to do a head count. I wouldn’t be surprised if there were families of lemurs roaming wild on the Furness Peninsular or some locals had adopted some stray ones. Who could say no to a lemur? Other animals we got up close and personal with were the prairie dogs, which were super cute munching their food. There was a goat sat on a bench. I’m not joking – here is the photographic proof. Although some of the small animals, like the mongooses, who were under lock and key as they would predate some of the other animals. We popped along to see the giraffes as it was their feeding time. The zoo had built a large viewing platform into the giraffe pen. There was a zoo keeper giving a talk whilst feeding the giraffes. Although I didn’t take in a word of what she was saying as I was staring literally eyeball to eyeball with the giraffes. IT WAS AMAZING! They are so beautiful with their long delicate necks and soulful eyes. I can’t believe how close we got to them. They were also sharing their pen with the rhinos, but somehow they didn’t have the same magic of the giraffes. As we walked through the rest of the zoo there were monkeys swinging pole to pole above our heads. The penguins were swimming in their pool and I believe, like the lemurs, they can get out and intermingle with the visitors. I did freak out in one shed where there were signs saying there were snakes loose. I do not do reptiles of any sort especially snakes and made a swift girly exit from the shed. My biggest reservation about the place was that some animals looked somewhat ill at ease here. The spectacled bear was looking rather pissed off. There was a covered bird exhibit, whereas in my world no bird would ever be caged. That is completely wrong as winged animals should be allowed to fly wherever they want. The big cats clearly weren’t happy. There was one big cat in her cage looking mentally ill. I have massive misgivings about putting big cats in small spaces. I can completely get why one of them would attack and kill its keeper, which sadly happened here earlier in the year. Part of me completely loved this madhouse of a zoo. Seeing the small animals wander and interact was ace. However there were some animals not cut out for zoo life and however much I love big cats I would rather see them on a safari rather than cooped up in a cage. This is definitely a unique experience and one to take small children on their first trip to the zoo to see the small animals, especially the lemurs.